The following is cross-posted from HIMSS. This year, HIMSS is proud to be a collaborating partner in the 10th anniversary of Health Datapalooza – AcademyHealth’s annual convening on health data and technology. 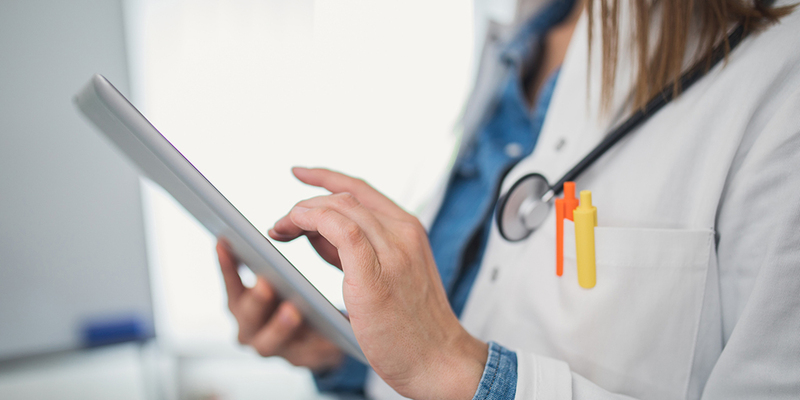 The collaboration furthers HIMSS commitment to meaningful transformation of data into new capabilities that deliver innovation in health transformation. As part of that collaboration, we’ll be exploring some of the issues and themes that are prevalent on the Health Datapalooza agenda. Gregory Downing, Founder of Innovation Horizons, interviews Harry Greenspun, M.D., Chief Medical Officer of Guidehouse, a Washington, D.C.-based consulting firm to discuss the future of health data. Are you wondering about the future of healthcare data? We’ve engaged Harry Greenspun, MD, chief medical officer of Guidehouse, a Washington, D.C.-based consulting firm. Dr. Greenspun has more than 20 years of healthcare business consulting with areas of emphasis in health information technology and innovation. Through your career experiences, you’ve looked across many of the emerging frontiers of innovation in healthcare. What do you think are the most exciting and impactful aspects of the use healthcare data will be in the next five years? The challenge we face is developing a comprehensive understanding of what really works under clinical circumstances. Up to now, collectively, we have done a lot to reduce clinical variability and figure out what is the right clinical action to take in general terms. Now we are on the verge of understanding how to successfully apply that knowledge on an individual basis. So, I think the key thing is reducing that variability to improve outcomes while at the same time improving the specificity of the care we can give. Can you tell us some of the data-centric initiatives that you are working on for your clients and what you think they are looking for in terms of value? A lot of what we are working on at Guidehouse with government agencies relates to big healthcare and public health problems like behavioral health, suicide prevention, opioid abuse and chronic diseases such as diabetes. All of these are really dependent on predictive analytics to guide change management in healthcare delivery and behavior. How can you figure out what is going to make a difference under a particular set of circumstances? There is a big challenge in healthcare to collect all of this information to address the problem of why we’re not entirely sure what works under what individual conditions. Genomics, for example, is showing us that certain medications work under certain biological circumstances and not others. Similarly, we have a lot of diverse stakeholders who are trying to contribute a lot of clinical data to figure this out and handle it in a meaningful way. That is a big challenge for the government organizations we work with. Let’s imagine for a minute, that in five years, the majority of healthcare payments under government and commercial healthcare programs will be made in some form of a value-based care model. What data will be needed to improve care and achieve the objectives of better patient outcomes with manageable costs? This is going to be a really big challenge because you need a tremendous amount of data and data sharing, but it also begins with the determination if the data is valid in the first place. Are we collecting the right kind of information that actually reflects clinical status and are they meaningful measures of response? And, how do you accomplish this without placing additional burdens on providers? The other aspect of this is we’re going to need to do a better job of engaging consumers to achieve better outcomes. On one hand, we need to know what the outcomes are that consumers care about. They have a lot of information about that is really relevant to how they achieve their outcomes. The next step is really engaging consumers to participate and we need to find ways for them to meaningful participate in the research process. I think the key is finding the value that consumers will realize as a result of their sharing data. With all of the discussions today about artificial intelligence, big data and technology vendors holding of large amounts of patient-level data, should we have concerns about our loss of control and sufficient safeguards necessary to protect the trust and integrity of healthcare as we know it? First, data privacy and security are always big concerns. What’s interesting is that we have not really invested in public education as to why healthcare information sharing is important. Specifically, our dialogue tends to be focused on the harms that can occur as a result of a breach. Yet, there is another view on this on value to patients. Of course, we haven’t yet delivered much value to individuals as a result of data sharing. Very few people can actually cite the benefits that they can achieve from the data that they shared. We need to work on that. Much of the data we have is about acute care encounters. When we think about the social determinants of health, other lifestyle issues, and other consumer choices, that’s the information we need to bring real value to the consumer. The key question is how do we safely gather that sort of information, combine it with health information, and get a much more accurate picture and provide specific recommendations to them. Marrying these data sources and putting the safeguards around that entire picture is going to be the challenge for the next few years. That sounds like a formidable challenge. Are you an optimist about the future of data in terms of the progress it will have for improving healthcare? I always say that the future of healthcare is the present day of every other industry. We are realizing the value of data and figuring out how to harness it and how to get better at what we do. We are inexorably going down this track of harnessing data in a way and extent that we haven’t done before. Ultimately, on the path to improving healthcare, we’ll have fits and starts and successes in failures, but this is the route that we’re going to take and I’m very excited about it.